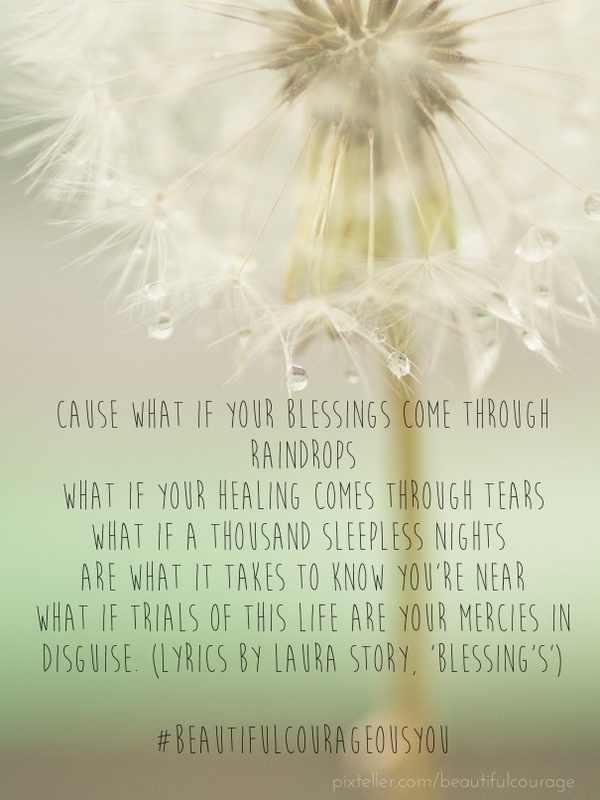 This is by far my favourite song at the moment; “Blessing’s” by Laura Story , I believe the trials of this life are His mercies in disguise, I have doubted His goodness, I have doubted His love and many times after I have shared my journey with others, they are perplexed that I choose to glorify God. They have questioned how can I still believe in God let alone trust in His goodness? They perceive that when I was trusting in Him, He let me down?! I have grappled in my mind with these arguments for the past 5 years, ‘is God good? Does He love me? Why do bad things happen to good people?, in fact why do bad things happen at all? Finally I grew tired of trying to figure it all out and made the choice to trust in His Word and trust that He is a God of Mercy and deep, deep Love for us. My healing has come through tears and a thousand sleepless nights were what it took to know He is near, my faith has been renewed and I have entered His rest. Categories: Healing | Tags: anxiety, Believe, Blessings, contentment, depression, emotional pain, encouragement, Healing, Hope, Inspiration, Negative thoughts, tears, waiting for god, wellbeing | Permalink. I Forgive Him… I Forgive Him NOT! Forgiveness… undeserved, unearned, you might say: ‘well no one understands what they did to me, what was said about me’. From the Gospels’ accounts, Jesus had every reason to be bitter, angry and unforgiving. Amidst brutal circumstances, He said, “Forgive them…” betrayed, falsely accused, whipped, beaten and spat on he was then nailed to a cross by them. As the crowd continued to taunt and curse him and His life slowly fading away He did not seek justice or vengeance. Forgiveness, or I like to call it ‘absorbing the debt’, refusing to make them pay for what they did, I believe, is the hardest and most courageous step towards healing and complete peace. On the subject of forgiveness Timothy Keller explains how by wanting to make the perpetrators suffer for what they have done will not give you peace “Cycles of reaction and retaliation can go on for years. Evil has been done to you – yes. But when you try to get payment through revenge the evil does not disappear. Instead it spreads, and it spreads most tragically of all into you and your own character”. It was only a few months ago when I sat in prayer and asked God, “Why am I not completely peaceful and why have you not given me joy like you promise in your word?, I am not moving from this chair until you heal me… completely!” I waited for an answer and started to reflect on all the steps I had taken towards getting well, countless counselling sessions, prayer, exercise, etc. 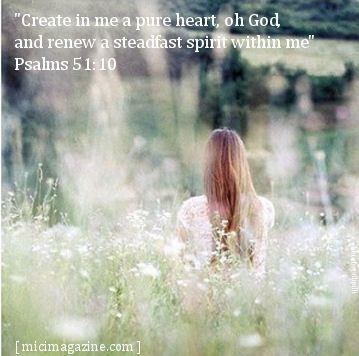 As my mind wandered (still waiting for God to answer) I recalled the most hurtful moments of my past and thanked God for healing me from the emotional pain. Upon examining my feelings I realised the memories still affected me, not in a hurtful, saddening manner as they had for so many years. What was rising up in my spirit was anger, bitterness and unforgiveness. Needless to say, God had answered my demanding prayer by showing me that my final healing was to be found in letting go of the unforgiveness I held so tightly. Holding onto unforgiveness seemed to be my last chance at vengeance and justice to those that had wronged me. They didn’t deserve my forgiveness! Crazy thing about a ‘payback’ mindset is the paying back seldom affects those who have wronged you. The unforgiving heart doesn’t heal, in fact bitterness and anger controlled me more and more as the years went by. Ask yourself, how does your holding onto unforgiveness work to hurt the other person? Does it really make you feel peace, joy… a sense of true happiness? The issue isn’t whether the person who hurt you deserves to be forgiven, forgiveness is a gift you give yourself. In my experience the hurting one is the unforgiving soul, much like a snake bite if you were to be bitten (hurt by someone) the snake takes off into the bush and your left with the venom (un forgiveness) do you get the picture? The snake isn’t concerned about how much venom you have pumping through your veins, he’s gone about his life as if not much has changed. On the other hand if the anti-venom (forgiveness) is not administered to the victim of a snake bite her health will deteriorate rapidly and possibly become fatal. 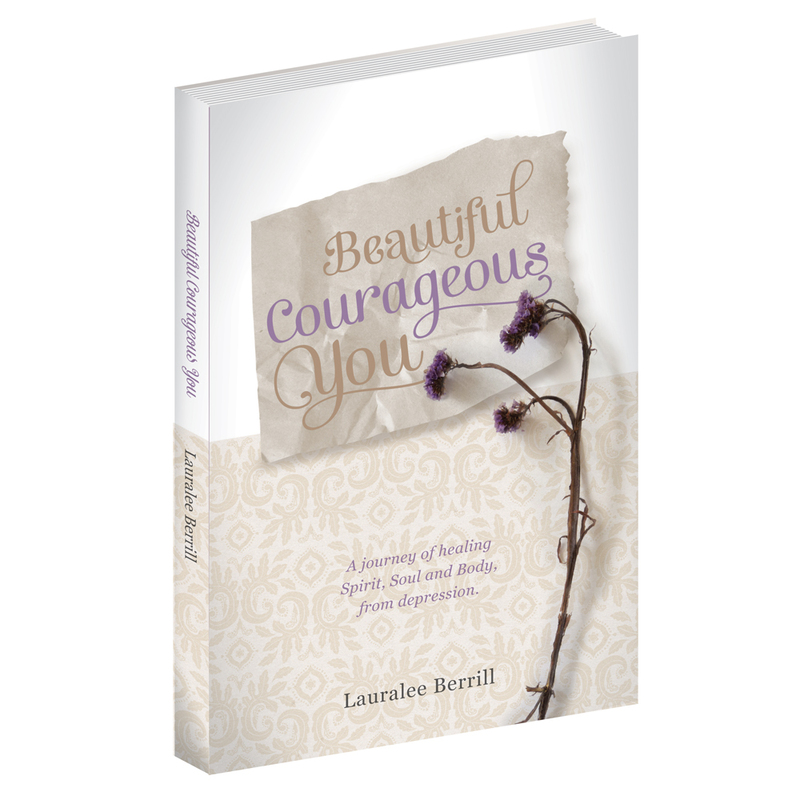 Categories: Body, Healing, Soul, Spirit | Tags: Believe, Christian, Courageous, courageous step, depression, emotional pain, forgiveness, Healing, religion, spirituality, theology, Thoughts, waiting for god | Permalink.